LJ Ross is the author of the international #1 bestselling series of DCI Ryan mystery novels. Her debut, Holy Island, was released in January 2015 and reached number one in the Amazon Kindle UK best sellers chart. Since then, she has released a further six full-length novels in the DCI Ryan Series, all of which have been top three bestsellers. Cragside, Dark Skies and Seven Bridges (due for release 25 May 2018) were all #1 in the UK on pre-orders alone. The novels are available to purchase in e-book, paperback and audiobook formats on the Amazon store, as well as in selected independent bookshops. Holy Island is also available in German translation. Louise was born in Northumberland, England. She studied undergraduate and postgraduate Law at King’s College, University of London and studied abroad in Paris and Florence. She spent much of her working life in London, where she was a regulatory lawyer for a number of years before taking the decision to change career and pursue her dream to write. Having read and loved all the previous books in this series, I was thrilled to be able to read Seven Bridges. To be honest, I had been dying to read it as soon as I finished Dark Skies because LJ Ross left us all wanting to know what was going to happen. In Seven Bridges, we are back with DCI Ryan, Anna and the team as they try to move on with their lives followiNg events in the previous books. Seven Bridges opens with a rather shocking storyline, which I’m not going to go into detail about because of spoilers, but I will say I was NOT expecting it and had to pick my jaw up off the floor. As well as this, DCI Ryan and his team receive a message from someone threatening to blow up the Tyne Bridge. As they begin a race against time to try and solve the clues, the story moves at breakneck speed. This pacing means that the reader will find it almost impossible to stop reading! I absolutely raced through Seven Bridges, reading the whole thing in one day. I genuinely couldn’t put it down. LJ Ross has an excellent knack for writing characters that you care about, becoming completely invested in their lives, and Seven Bridges is no different. I read with trepidation at times for fear of what I might read. This series is so brilliantly-written. It has an engaging cast of characters and never feels stale. With each new book, LJ Ross injects even more life into the team, and the stories are always captivating. It is not a stretch to say this is one of my favourite series out there at the moment, and they get better with every installment. *Many thanks to the author for my review copy! Louise was born in Northumberland, England. She studied undergraduate and postgraduate Law at King’s College, University of London and studied abroad in Paris and Florence. She spent much of her working life in London, where she was a regulatory lawyer for a number of years until taking the decision to change career and pursue her dream to write. Now, she writes full time and lives with her husband and son in Bath. She enjoys reading all manner of books, travelling and spending time with family and friends. LJ Ross is the author of the international #1 bestselling series of DCI Ryan mystery novels. Her debut, Holy Island, was released in January 2015 and reached number one in the Amazon Kindle UK bestsellers chart. Its sequels, Sycamore Gap, Heavenfield, Angel and High Force were all top five UK bestsellers and she recently hit the top of the charts again with her sixth book, Cragside, which was number one in the UK on pre-orders alone. The novels are all available to purchase in e-book, paperback and audiobook formats on the Amazon store, as well as in selected independent bookshops. Holy Island is also available in German translation. Detective Chief Inspector Ryan returns from honeymoon to face danger from all sides. In the depths of Kielder Forest, a murderer has escaped justice before and will do anything to protect the secrets of the past. Meanwhile, back at Northumbria CID, an old foe has taken the helm as Superintendent and is determined to destroy Ryan at any cost. Who will prevail in Ryan’s most dangerous case yet? Having read and loved the previous six (SIX!!! I can’t believe there’s been that many already!) books in this series, I was thrilled to be able to read Dark Skies just before publication. I had been waiting for this one since I finished Cragside so needless to say I started this one as soon as I could and it was definitely worth the wait! In Dark Skies, Ryan and his team are tasked with investigating the discovery of a decades-old body found in a reservoir. While they think they are investigating an old case, it seems that the killer has been in hiding all these years, and they’re not done yet. What follows is a really great, pacy story. I found myself flying through the book and before I knew it I was at the end! Packed full of secrets and little moments that make you go “huh? !”, it was so great to get back into the world of Ryan and his team! Brilliant story. I was gripped. I love how the author makes the characters relatable. And don’t even get me started on her amazing eye for locational descriptions. I’ve never been to any of the places in this series, but thanks to the descriptive language LJ Ross uses, it feels like if I close my eyes I can totally see it! Another cracking book in the DCI Max Ryan series. If you haven’t yet picked up a book by LJ Ross, I suggest you do. The characters, settings and plots are so expertly crafted that you’ll get lost between the pages faster than you realise! L.J. 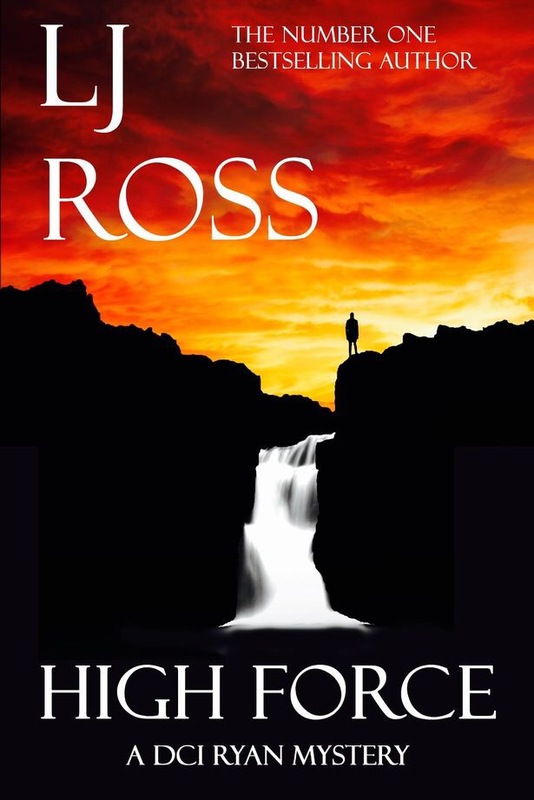 Ross is the author of the international #1 bestselling series of DCI Ryan mystery novels. Her debut, Holy Island, was released in January 2015 and went on to become a Kindle UK #1 bestseller. Its sequels, Sycamore Gap, Heavenfield, Angel and High Force have all been top five bestsellers. The novels are all available to purchase in e-book, paperback and audiobook formats on the Amazon store (the audiobook version of High Force will be released in early 2017). Holy Island is also available in German translation. Cragside is the latest installment in the DCI Ryan series by LJ Ross, and to be honest, these books improve with every new book! LJ Ross is one of the authors whose books I eagerly await, and will ALWAYS buy because I am never let down. And its safe to say Cragside is another winner! Still reeling from the investigation into The Hacker, when we meet Ryan in Cragside, he and Anna are holed up on a country estate as it was the easiest option until they can find somewhere to live. They are attending a staff party with a murder mystery themed evening in the main house, and that’s where events start to take on a life of their own. During the course of the evening, and elderly staff member is found dead. What looks like, for all intents and purposes, a tragic accident is quickly upgraded when Ryan and his team begin to investigate a little deeper into the man’s life. When another body is found, things escalate quickly and it’s clear that there is something sinister happening at Cragside. LJ Ross has a great writing style. In this one especially, there is a Golden Age crime feel to it. The murder mystery along with its setting make it seem almost Agatha Christie-esque in tone which makes it a very cosy read. Now in saying that, there is still an element of gore when discussing the murders, and the tension ramps up increasingly with every chapter. What I love about these books is the characters. Yes, the plots are always excellent, and the intricacies of the mystery always bamboozle me, but the real heart of this series lies in the characters. I’m not one for fictional crushes, but to be honest, DCI Ryan sounds like he could be the poster boy for tortured heroes everywhere. There is something about how his character is built upon with each book that makes the reader feel more connected to him as the series progresses. The camaraderie and banter between the investigation team is always so dynamic too. I especially love the relationships (and I am so NOT romantic at all!!!) between Ryan and Anna, and Frank and Denise. Considering all that they have been through recently (I’m not spoiling it by telling you, you’ll have to read the books to find out!) LJ Ross has captured their emotions so well. I’m not going to lie, there were a couple of occasions while reading that I may have had something in my eye… That is testament to the author’s ability to write characters so well though. To make the reader empathise/connect emotionally to characters is difficult, but LJ Ross does it with ease. Cragside is a thrilling and engrossing read. Another stellar installment in the series. I flew through this one in less than 24 hours. I just couldn’t put it down. And my only complaint… that ending has me more than a little afraid for what’s coming in Dark Skies… but bring it on!!! It’s hard to believe we’re onto book 5 of the series already!!! I was lucky enough to read this pre-publication so I’m sharing my review with you today! There’s a nationwide manhunt underway but the trail has gone cold and fear spreads like a virus. Ryan and his team must find The Hacker before he takes another life – but are they too late? Released today, click HERE to order your copy!!! L.J. Ross is the author of the international #1 bestselling series of DCI Ryan mystery novels. Her debut, Holy Island, was released in January 2015 and reached number one in the Amazon Kindle UK bestsellers chart. Its sequels, Sycamore Gap, Heavenfield and Angel are also #1 bestsellers. The fifth book in the series, High Force, is scheduled for release towards the end of 2016 or early 2017. The novels are all available to purchase in e-book, paperback and audiobook formats on the Amazon store. Holy Island is also available in German translation. If you follow my blog, you’ll know that I’ve read and loved the DCI Ryan series, so I was thrilled when Louise said I could read an ARC of High Force. I had been eagerly awaiting book 5 since I closed the last page of Angel to be honest so it was a real treat to be able to get back into the series. High Force picks up immediately after Angel finishes. I had told myself I’ll just read the first few pages and then I’ll come back to it… I had it finished the following day, it was UNPUTDOWNABLE. When you read series, if you enjoy them, you find yourself becoming invested in the characters. Well I do anyway, and the DCI Ryan series is no different. I just had to keep reading to find out what happened. I don’t like doing plot summaries, as well you all know by now. What I will say though, is that High Force is definitely my favourite of all the DCI Ryan books, by a mile. It has an excellent plot, a twisted antagonist and a superb cast of characters. If you haven’t picked up these books by now, what are you waiting for?! Born in Newcastle-upon-Tyne, LJ Ross moved to London where she graduated from King’s College London with undergraduate and postgraduate degrees in Law. After working in the City as a regulatory lawyer for a number of years, she realised it was high time for a change. 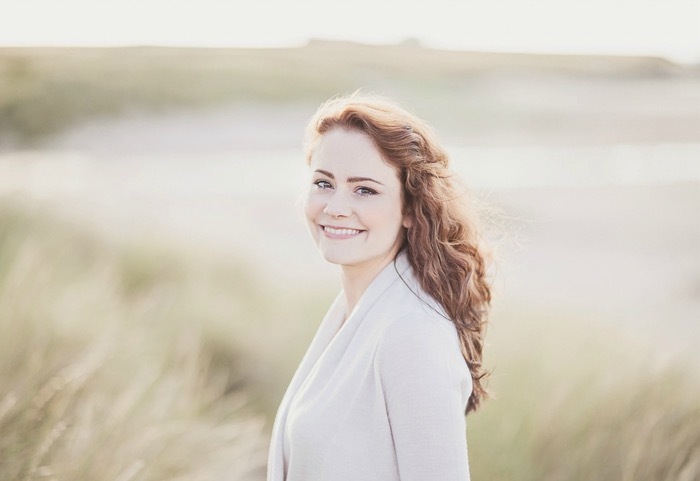 Her first book, ‘Holy Island’, has consistently been listed as an Amazon bestseller since its release in January 2015 and hit the Amazon UK Kindle #1 position in May 2015. Its sequels, ‘Sycamore Gap’, ‘Heavenfield’ and ‘Angel’ have all been #1 bestsellers. Then, on Good Friday morning he is called out to a crime scene at one of the largest cemeteries in Newcastle. The body of a redheaded woman has been found buried in a shallow grave and the killer has given her wings, like an angel. Soon, another woman is found at a different cemetery, followed quickly by another. Panic spreads like wildfire as a new serial killer is born, and Ryan’s band of detectives must work around the clock to unmask him before he can strike again. I’m pretty certain that the DCI Ryan series is improving with the release of each book and that’s evident with Angel as it’s the best in the series so far in my opinion. I feel sorry for poor Ryan, he always draws the crazy people and this book is no different. This time we have a killer who believes he is essentially a messenger of God and killing in His name. Posing them in the position of an angel, the symbolism is not lost on the team of investigators. 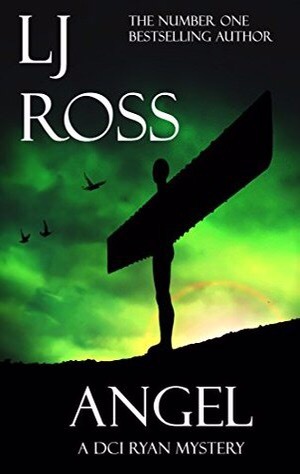 Angels have long been a symbol in religion, and though this book has religious references and connotations, it is done in a sympathetic way and stays true to the story. Though Angel has its roots in religion, the book stays with the characters and their various investigations which means it’s not something the reader has to focus on. I love this series, I love the characters and I really love how invested I become in the fates of the fictional characters. Angel is most definitely the best book in the series so far, and they are all superb, but Angel is exceptional! Already suspended from Northumbria CID, Ryan must fight to clear his name. But soon, more than his career is at stake when prominent members of the mysterious ‘Circle’ begin to die. Somebody wants Ryan’s name to be next on the coroner’s list and to survive he must unmask the devil who walks among them – before it is too late. 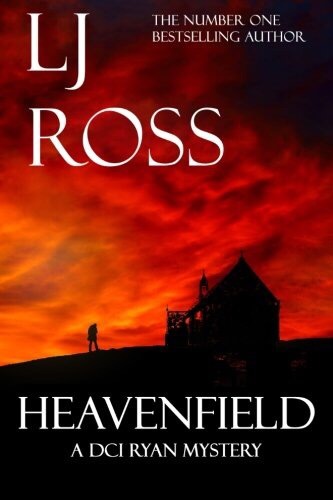 Heavenfield is the 3rd book in the series, with Holy Island and Sycamore Gap being the 1st and 2nd respectively. I read and loved both of these books, and you can catch my reviews by clicking the relevant links below to see what I thought. As you all know, I love a good series and LJ Ross’s books are no exception. Reading these books is like catching up with old friends. There’s comfort in picking up the books because you know you won’t be disappointed. I don’t like spoilers, so I will try keep my review succinct as I don’t want to give away anything about the plot. I recommend you read the precious books before this one if you haven’t already. Heavenfield opens with a shocker, and it snowballs from there. The pace of the book is just excellent. It pulls you in immediately and it will not let you go until the final chapter. The characters from previous novels are all there in various states of play. The plot is superb, it is all interconnected through the series and it just flows so well. I genuinely can’t say more about it without opening my big mouth and spoiling something so all I will say is LJ Ross is an excellent author and storyteller. The DCI Ryan series is excellent, and it keeps getting better with every new release! Bring on Angel! 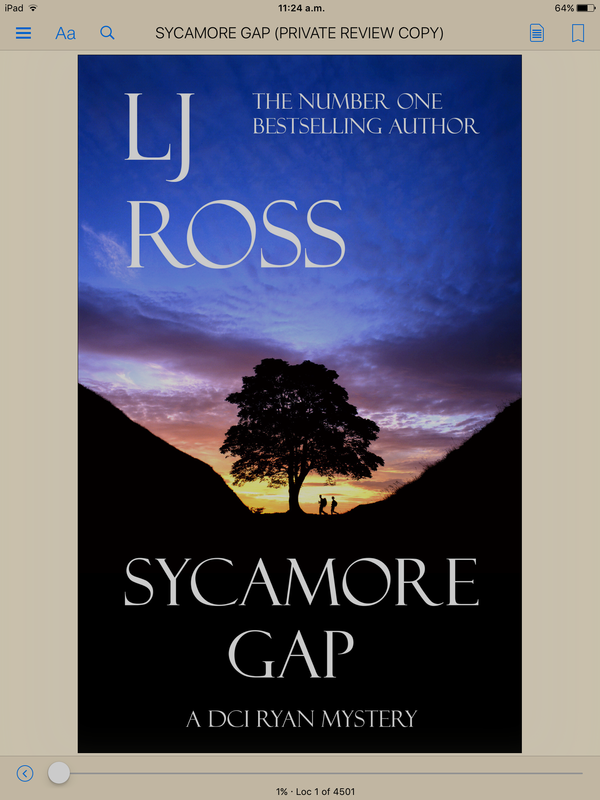 Many thanks to the author and Maxine at Booklover Catlady Publicity Services for my review copy of Sycamore Gap. I was super excited to get a copy of this book, as I had read Louise’s previous book in the series, Holy Island and loved it. You can read my review for Holy Island here. Detective Chief Inspector Ryan believes he has put his turbulent history behind him. Then, in the early hours of the summer solstice, the skeleton of a young woman is found inside the Roman Wall at Sycamore Gap. She has lain undiscovered for ten years and it is Ryan’s job to piece together her past. Enquiry lines cross and merge as Ryan is forced to face his own demons and enter into a deadly game of cat and mouse with a killer who seems unstoppable. Murder and mystery are peppered with a sprinkling of romance and humour in this fast-paced crime whodunnit set amidst the spectacular scenery of Hadrian’s Wall country in Northumberland. Sycamore Gap follows on from the events in Holy Island. DCI Ryan is tasked with a murder investigation following the discovery of skeletal remains in Hadrian’s Wall. As past and previous cases collide, the investigations have sever implications for everyone involved. I loved the pace of this book. Having read (and loved) Holy Island, I was keen to see how the events in this book would play out so I read it as fast as possible. DCI Max Ryan is a great character! He has been through a lot but he still manages to keep a strong exterior, while he’s fighting his inner demons. Anna is also back in this book. I really like her character, she’s feisty and well able to handle Ryan. Sycamore Gap is a completely thrilling read. The fact that it merges past and previous investigations is fantastic. You get more background on The Hacker case along with tying in with the ritualistic murders that took place on Holy Island in the previous book. I thoroughly enjoyed this book. Even more than I did Holy Island, so much so that I gave it 5 ⭐️ on Goodreads after finishing it last night. My thanks again to Louise and Maxine for my review copy.